This is an interesting antique Chinese ancestral painting showing a figure sitting on a thorn draped with a tiger fur. The badge at the front of the robe with birds reveals that this is a scholar type of court official rather than a military one whom would have been presented by a tiger motif on the badge instead. 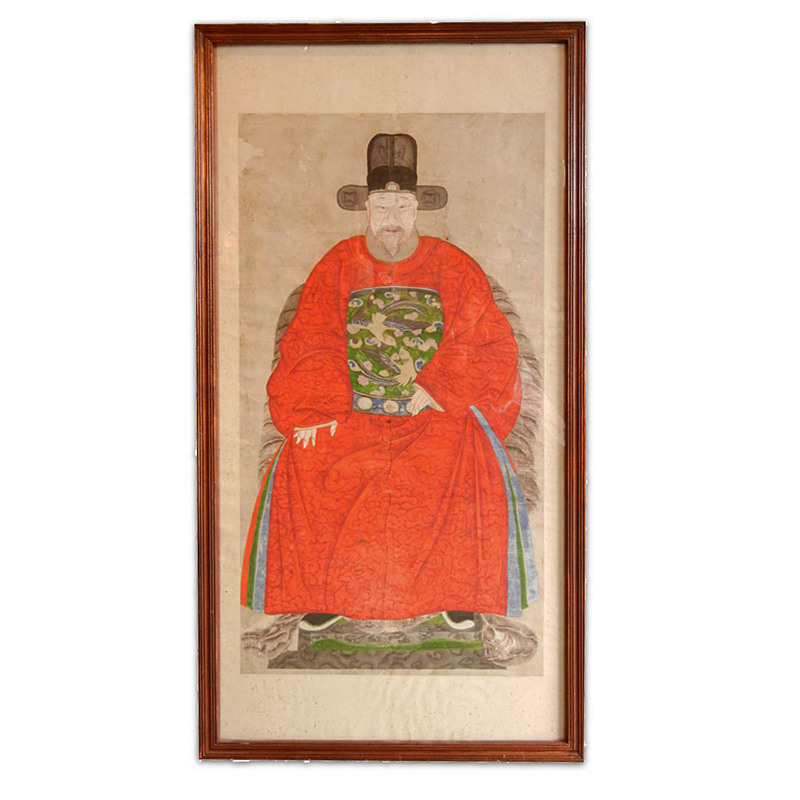 The style of the black hat and the tiger fur on the throne together further depict the important status of the person. The robe is beautifully painted with a striking orange red that came from ground precious stone or mineral. On the robe, one sees peony flowers and Ling-Zhi medicinal mushrooms intertwining in the clouds, painted with the lighter and the dark shadows in color. 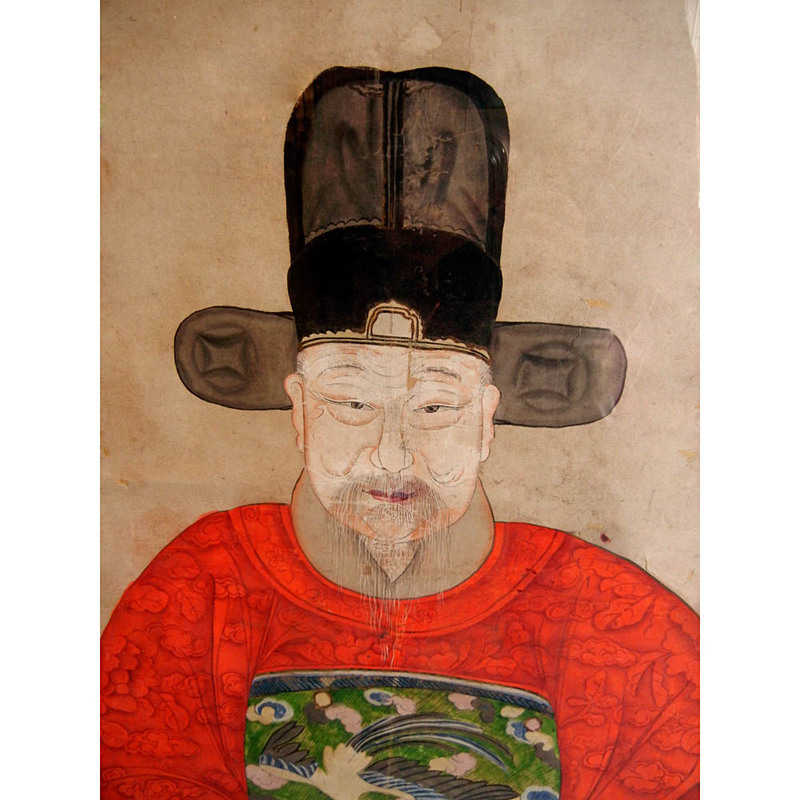 Antique Chinese ancestral painting is a special art of its own. It was very popular during the Qing and the late Qing Dynasty until photography became popular in the 20th century in China.